It is the combination of various technologies that give our robots their potential. The specific layout dimensions can be adjusted on-site with the control app. A football field can be resized seconds before marking starts. Mobile robotics are changing the way people work. We strive to make our autonomous robots a valuable addition to the way our customers work. 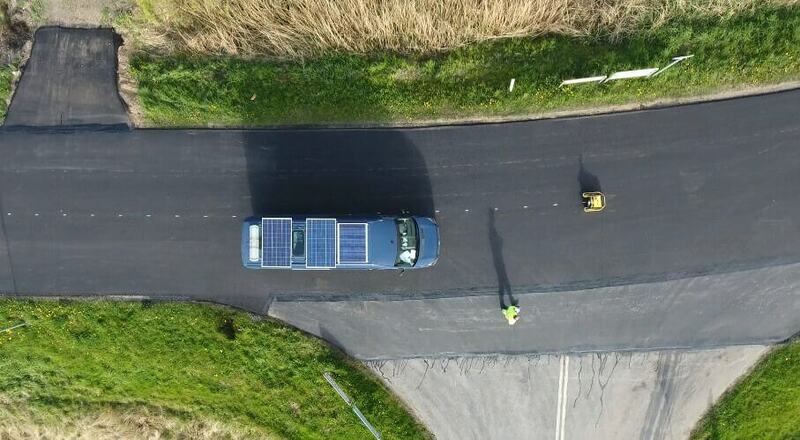 drive continuously while it steadily collects data with the total station. The different robot types are optimized for different tasks. For example, the TinyPreMarker provides settings often used in pre-marking tasks. 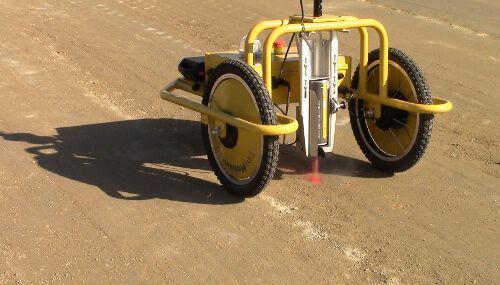 A built-in setting for parking lot pre-marking allows the robot to collect three coordinates in the field and indicate the angle and the number of rows and columns in the robot’s settings. The robot also has built-in support for the marking of lines and arcs. Once again, the user can collect two coordinates for a line or three coordinates for an arc and the robot will subsequently pre-mark these elements. Most intuitive and easy-to-use pitch design app to date !